Our ability to learn from experience is only as good as our ability to accurately remember that experience. It turns out our memory is selective. We remember good outcomes and forget bad ones. Thanks to a tweet from Carnegie Mellon behavioral economist Alex Imas, I learned of a new study by Katrin Gödker, Peiran Jiao, and Paul Smeets about how selective memory affects investing decisions. According to the authors, this is the first empirical evidence for a systematic memory bias in financial decisions. It certainly makes sense, and it’s not just confined to financial decisions. We are all motivated to create a positive self-narrative. And that creates a tension. In the long run, if we remember our wins and losses accurately, our decisions will improve, leading to better outcomes and a better overall self-narrative. But the catch is that we have to take multiple hits to our self-narrative to get there. Losing feels like making a mistake. Winning feels like, well, winning. So we remember the wins to get that short-term narrative boost and forget the losses to avoid the narrative ding. That’s the tension. That’s why we bury our mistakes. Morgan Housel has a spot on my must-read list and one of his latest posts, “Death, Taxes, and a Few Other Things,” doesn’t disappoint, especially because it is about a topic I have been obsessed with lately: Benchmarks. 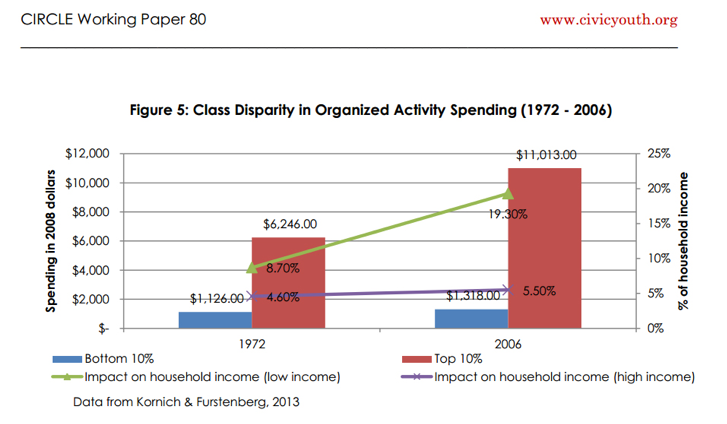 Housel points out that, adjusting for inflation, American families are doing much better than in the 1950s or 1960s. Yet, there is a widespread belief that the fifties and sixties were the peak era for the middle class. Nostalgia for how good everyone had it back then is a prominent part of our political discourse. This despite data demonstrating otherwise. As Housel says, “A perpetually moving goalpost” is what gives. That sounds like a benchmarking problem to me. But we don’t. We are relative pricers. Relative to our reference group. Relative to what our neighbors have. Relative to what we see on Instagram. “Relative” means that by the time we arrive at our initial goal, the goalposts have moved. This is the problem with thinking that offering someone the data showing that they are better off will solve it. Data doesn’t care about your feelings. But the obverse of that is that your feelings don’t care about the data. We can track all we want along the axis of time. But people judge how they are doing not in comparison to the past but in comparison to the now. The irony is that as we make progress, even if people’s lives get objectively better, their happiness can’t catch up because that progress changes the benchmark. On March 12, federal prosecutors in Boston charged fifty people in a conspiracy to influence college-admissions decisions at eight schools. Defendants include numerous wealthy and well-known people who allegedly paid a college-admissions consultant to get their children into college. The highest-profile defendants in the case so far are television actresses Felicity Huffman and Lori Laughlin. If we’re going to prejudge the case, I can see throwing Felicity Huffman under the bus – she was one of the Desperate Housewives, so connect the dots, right? – but Lori Laughlin from Full/Fuller House? Maybe if it was Uncle Jesse, with his devil-may-care attitude, preoccupation with his hair, and insistence on living in his widowed brother’s attic. But et tu, Aunt Becky? Et tu? Because the defendants’ alleged conduct involved cheating on standardized tests (like the SAT and ACT) by, among other things, paying proctors to change answers and hiring stand-ins to take the tests, this has also created a backlash against standardized tests. The immediate reaction to the recent scandal has been to move the needle towards eliminating standardized testing altogether. I think the conclusions that many are drawing, that the cheating shows we need to eliminate standardized testing, is exactly backwards. What does it say that the advantages of wealth, access, and celebrity aren’t, alone, enough to “beat” grades and standardized tests as college gatekeepers? What does it say that wealthy, famous parents also have to commit crimes to get the outcome they want from the college admissions process? 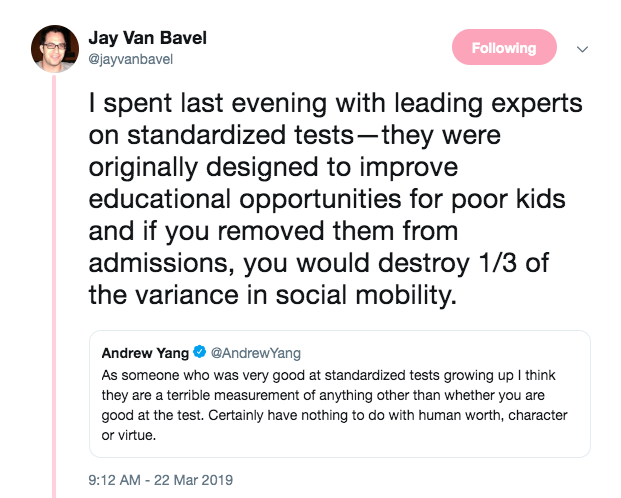 To me, that says objective measures like grades and standardized tests must be working toward their intended goal, to make sure that more people are getting into college based on merit rather than access. 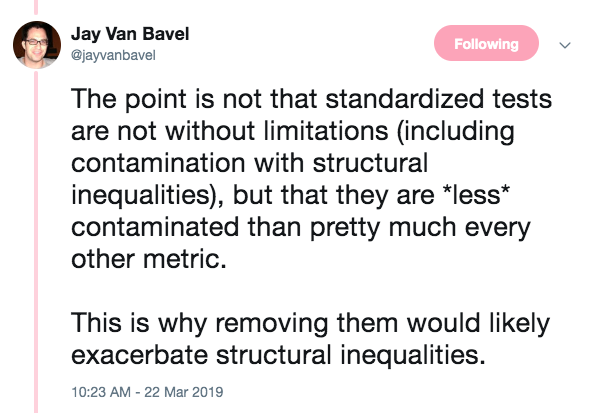 Regardless of whether you agree with Van Bavel, you should read his observations throughout the thread. His fundamental point is that the tests were designed to increase social mobility through education. Although they aren’t perfect at accomplishing it, they are more fair than other measures. In fact, a system that focuses on subjective, individualized factors like extracurricular activities unquestionably gives higher-income families a massive advantage. That’s an advantage purely based on financial circumstances. And there’s no intentional, fraudulent behavior necessary to get that advantage. In addition, income inequality in test preparation is something that can be constructively addressed – and already is. Khan Academy, for example, provides free personalized practice recommendations for SAT skills, plus eight official practice exams from the College Board. Until colleges start counting a job in a fast-food restaurant as an extracurricular, it seems to me that it’s easier to address income-based inequalities connected with standardized testing than in extracurriculars. If we take away standardized tests, the advantage of wealth becomes greater and more difficult to address. The system clearly isn’t perfect, but if it takes such extraordinary lengths to beat the system, it must have some merit. The testing and admissions processes should improve at preventing fraud and also continue to address the potential for structural inequalities. What do you do when you devote your career to measuring rationality and discover one of your measures is biased? AND that the bias was caused by a lack of viewpoint diversity in your research group? 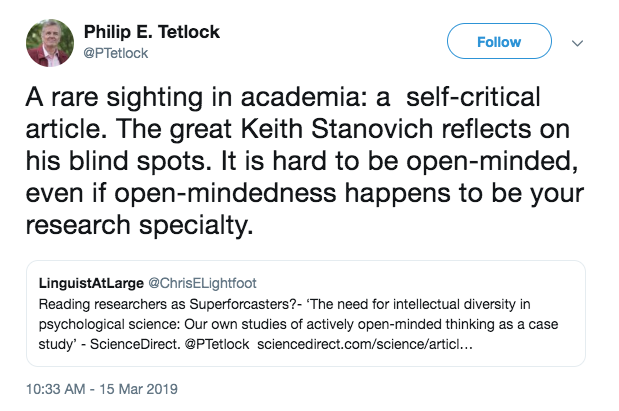 You do what Keith Stanovich did: go public with the shortcoming in your measure and highlight your group’s lack of viewpoint diversity as a case study. Stanovich is an emeritus professor of psychology at the University of Toronto and a proponent of active open-mindedness. He and colleagues developed questionnaires and scales for measuring “actively open-minded thinking” (AOT). AOT is a gauge of willingness to consider alternative opinions, sensitivity to evidence conflicting with current beliefs, and reflective thought. Obviously, such work is of great importance to decision science. A controversial result of his AOT work was the finding of a high negative correlation between open-mindedness and religiosity. 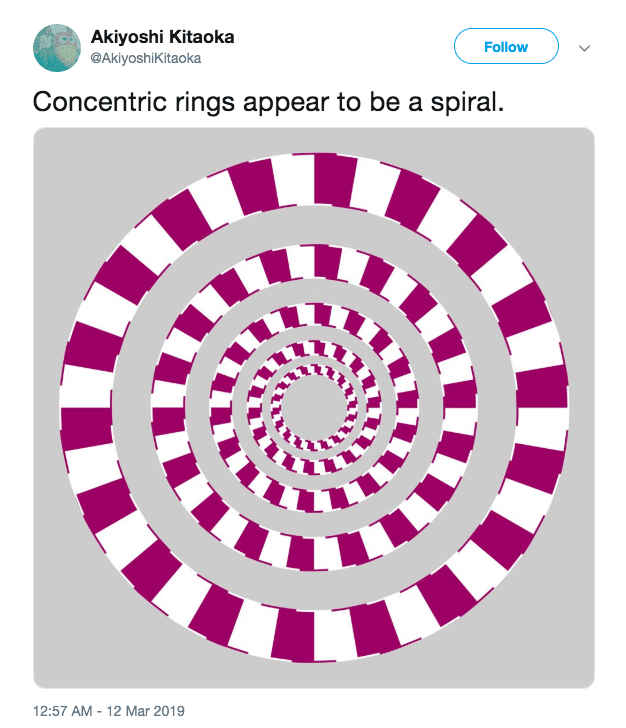 Stanovich and Maggie Toplak, according to the abstract of their article for the June 2019 issue of Cognition, isolated the AOT item responsible for this conclusion. The scientific method requires this kind of intellectual honesty, but it’s still rare in practice. For twenty years, this item has been part of his AOT questionnaire. It’s reasonable to say his AOT work is part of his identity as a scientist. It’s a great example of truth-seeking that he was able to recognize this, publicly admit the error, and encourage others to learn from it. This is what it means to embrace updating and calibrating beliefs and embracing being wrong in pursuit of the truth. April 27, The Union League in Philadelphia, and you’re invited! 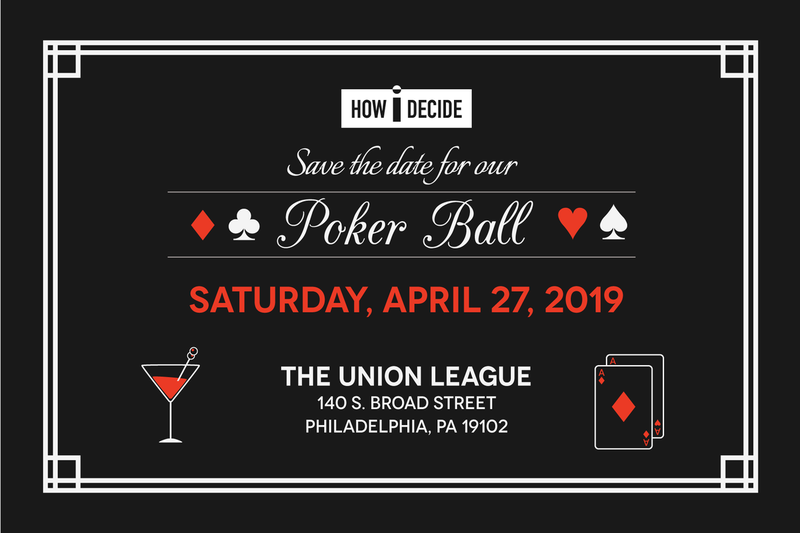 How I Decide, the nonprofit I cofounded to improve the lives of youth through Decision Education, is holding its Poker Ball on Saturday, April 27, 2019, at the Union League in Philadelphia. It promises to be a fun evening, raising money for decision education: music, magic, entertainment, cocktails, dining, and a No-Limit Texas Hold ‘Em tournament. Raffle, auction, and tournament prizes include one-of-a-kind experiences, luxury watches, and six hours of private jet time (thanks to Apollo Jets). The website has further information about the Poker Ball, attending and contributing, and, of course, about How I Decide and how it’s working to achieve its goals.